If you are planning to travel to a city located in a high altitude or trekking a high mountain, you probably have heard about the Altitude Sickness, so did I, in the first I visited Peru, but obviously, I totally ignored the warnings because I thought that my well-prepared body, treated to the finest pizzas and years of pure laziness, wouldn’t feel it…guess what? I was wrong. If you are coming to the region of the Andes in South America, you will surely feel the altitude sickness. In Peru or Bolivia for example, where some cities might reach over 4,000 above sea level, it is completely normal for tourists. Altitude sickness is a response from your body to both high or low altitudes where there is a huge variation in air pressure and oxygen. Although it can affect you at an altitude of 1.500 above sea level, it is more commonly felt when you reach 2.400, but of course, it varies from person to person. Although there is no cure for Altitude Sickness, and also, it is impossible to avoid the symptoms until your body gets used to the altitude variation, there are means to soften it. 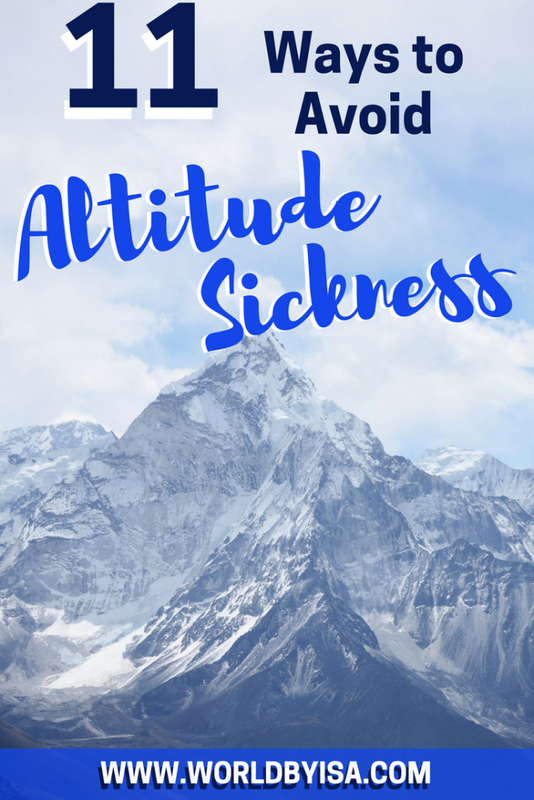 Again, there is no real medicine to completely cure the Altitude Sickness, however, if you wish, you can buy something call Altitude Sickness pills, it can be easily found in drugstores. Altitude Sickness pill will help to soften the symptoms and to prepare your body to the high altitude. If you feel way too uncomfortable when breathing, or if you feel like you can’t breathe at all, you can also buy oxyshots, they are exactly what the name says, Oxygen Shots, it will be covered later on in the text. But in my opinion, from all these “medicines”, what helps the most is the altitude sickness teas, Coke and Muña tea, I will talk about them later, but generally speaking, what I recommend is to mix both when you will make your tea, instead of drinking them separately. 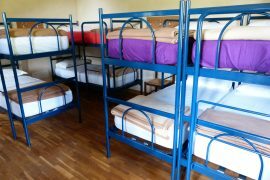 I suggest you spend at least the first day or even the second as well, in your hotel room, resting. Normally this is the time your body takes to acclimatize. This is the first advise everybody hears but most people don’t believe that Altitude Sickness can hit hard. 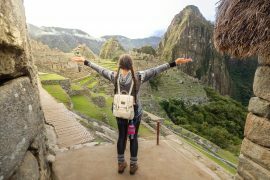 Don’t go on hikes and trails in your first days in Cusco, and if you are planning to go to Machu Picchu, make sure to rest some days before visiting the ruins, even if you are going on a one day trip. It is normal to feel weak and unwell when you are in an elevated altitude, especially in the first days, so when you finally feel prepared to walk around and visit the city, go slow, take your time, you will notice that you get tired easier than you would in your normal altitude and will lose the breath more often, and this is because of the lack of oxygen. Avoid climbing stairs, streets and hills and don’t rush. Due to the lack of oxygen, it becomes hard to breathe normally, you will notice that your lungs will not get full like it does in the normal altitude, and you will need to take deeper breaths, calm down, it is all part of the disease. Especially if you are doing any exercise, or just walking around the city, stop and take deep breaths more often. If you are having difficulty to breath, try smelling something strong, you can buy in any pharmacy in Peru something called Agua de Florida, which is a small bottle of a yellow cologne made of a mix of different herbs, it is a famous medicine among the South American tribes and cures many things, between then, the headaches and the breathing difficulty. It is really simple to use the Peruvian Agua de Florida, all you need to do is to drop it on your hand, place your hands close to your nose and smell it. If you wish you can pass it on your forehead, face, and neck. You can do as often as you wish as a mean to soften the symptoms of the Altitude Sickness. If your breathing difficulty is giving you a serious issue, then you should buy oxyshot, if you are in an elevated city, they can be easily bought in any pharmacy, many trails or hike companies also offer then during the tours. They are small plastic tubes filled with oxygen. Avoid eating heavy and salty food, instead, go for something light, like rice, chicken, soups, bread. Avoid red meat, pasta, milk, and anything creamy. If you got diarrhea you should also avoid fruits, salad and anything raw, stick to the boiled vegetables. Drink TONS of water! Although it doesn’t soften the effect of the Altitude Sickness, it relieves the headaches, as in many cases you will get headaches due to dehydration as high elevations tend to be dry. So, even if you are not thirsty, force yourself to drink as much water as you can to hydrate your body. You probably already heard about Coca tea, it is important to remember that although it helps a lot, it is not a curative measure, rather it is preventive. So, definitely you should drink a lot of Coca tea, but bearing in mind that it won’t make you feel better right the way, but perhaps in the next day, you will start feeling its effect. The idea is to drink the tea along the day. Of course, you won’t find coca tea anywhere in the world, but if you are in countries like Peru or Bolivia they can be easily found. Besides the tea, you can also buy coca candies and leaves, both will work just like the tea. While Coca tea is great for the altitude sickness and headaches, Muña, another famous herb, easily found in some countries of South America, is great for stomachache and nausea. You can mix both leaves to make the tea and drink it during the day. Another way to avoid nausea and vomiting is drinking coke, as you probably saw on those facebook videos, coke cleans the sink, imagine what it doesn’t do to your stomach! Be aware, this is not a bad propaganda, this is elevating coke to a medicine level! I know that sometimes when we travel, all we want is to party hard. But in high altitude, avoid alcohol. Not even a glass of wine to with my pasta? Yeah, not even a glass of wine, sorry. Due to the low pressure, you will feel the effects of the alcohol faster than you normally do, even if you drink just a little bit, so prepare to wake up in the next day as if you have been beaten up! We are planning a trip to Himalayas. So, this is very useful post to me. Did not know about coca tea. Love this tips! When I was in Colombia I got altitude sickness and could have really used these tips and tricks to avoid it. Great tips! I wish I had read this before I went to Peru with my family. Unfortunately, I got sick there (but I also think it was a bad case of food poisoning, where other people on the tour got sick too) and I had to spend a whole day in the hospital there! I’ve never personally experienced altitude sickness, but I’ve definitely heard of it. Good to know these tips beforehand, so one can be prepared! I had no idea what you ate could affect it! Oh lot of precautions there. Thank you for this helpful knowledge. 😃 Now I’ll know what to do with altitude sickness. Very handy information. I would definitely try your tips during my next holidays. Great! Thanks for the tips. I gladly don’t have that sickness, but thanks to your post now I can help my friend, when we start traveling to high places to get over his sickness <3. Thank you! These tips are indeed helpful. I have often faced motion sickness in some of the most beautiful tourist destinations which led to very less time to explore! I have tried a few things like acclimatization and it worked! Will try the others. And I just mention, lovely pictures. Such great advice! I went to Colorado in June and both me and my husband got bouts of Altitude sickness. We’re from Florida so we’re used to sea level elevation! It wasn’t that bad in Denver but once we got up in the mountains it was pretty bad. I will definitely save these for next time. Great post! thank you very helpful advice. Ah, altitude sickness. One of the worst feelings ever. Only have had it once while visiting Pike’s Peak in Colorado, but would like to never feel it again. Thanks for sharing these awesome tips! Elevation sickness is no joke. We were out of commission for close to a week when we first got to Cuenca, Ecuador. Wish we had read this article first! Same as happened to me when I went to Puno in Peru, I had to spent a full day resting, in the second day I was kind of better, but still not fully recovered! My mom and brother feel altitude sickness and these are some great tips for them. Will definitely be sharing. Great article! I faced some horrible sickness in Bolivia in La Paz. Luckily, I had some handy pills that the doctor gave me! A lot of these tips are great – especially when you didn’t think to grab the pills beforehand! hahaha that was my case! Many friends told me to buy pills before going on the trips, but I thought this was for the weak lol I will be doing that next time though! Great article, Ne one like sickness & those are unhappy with sickness those should follow these amazing ways to avoid sickness ! haha all along I’ve been taking alcohol thinking that it helps, I should stop asap. Thanks for the tips. I have never seriously experienced altitude sickness, but have definitely experienced a shortness of breath at altitude. It can take weeks to feel like your level of fitness is back to normal.